Doc Day takes place on Friday 16th November in Republic of Work, Cork City. 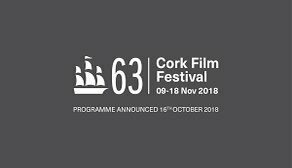 Presented in partnership with Fís Éireann / Screen Ireland and Screen Training Ireland, Doc Day is Cork Film Festival’s annual documentary-focused Industry Day which informs, inspires and connects established and emerging directors, producers and writers with international producers, directors, programmers, sales agents, distributors and film sector leaders to further understand and develop opportunities in the documentary landscape. Doc Day panels and guest speakers consisting of a number of documentary directors and industry professionals, will explore key topics such as sustainable models for Irish documentary production companies, as well as a wider consideration of documentary's role as the cinema of social concern and the broader context of the challenges and opportunities for Irish filmmakers internationally and the future of Irish documentary film.